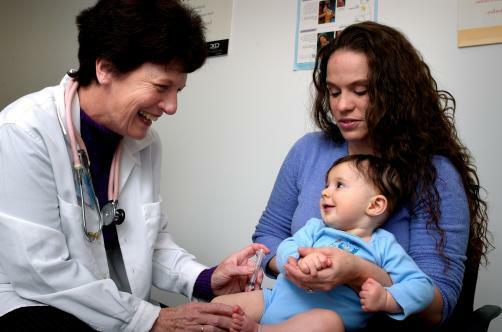 The ban was announced alongside the declaration of a countywide state of emergency on 26 April, one that will remain in place for either 30 days or until unvaccinated children receive the measles, mumps and rubella (MMR) vaccine. New York City has seen 180 confirmed cases of measles so far, while 40 miles away in Rockland County, there have been another 150 confirmed cases. In more than 82% of these cases, the infected individual had never received a single dose of the MMR vaccine, with the biggest proportion of 46% seen in children between 4 and 18, while 39% was seen in those under 3. The problem is not confined to the state or even the East Coast, with the Centers for Disease Control and Prevention (CDC) confirming outbreaks in Texas, Illinois and Washington. "We must not allow this outbreak to continue," remarked County Executive Ed Day at a news conference. "We will not sit idly by while children in our community are at risk." County authorities will not actively seek out unvaccinated children but are calling on parents and guardians, in the interests of public health, to ensure their child has been vaccinated; those failing to do so will be referred to the district attorney’s office, with fines of up to $500 or even six months jail time waiting for offenders. Those who cannot receive vaccination due to medical reasons will be exempt. The decision follows a similar move in Italy, with the government opting to refuse children from schools unless their parents can prove they’ve been vaccinated. In the event they cannot, the child will be sent home if they are under the age of six, or their parents will be fined up to €500 if they are above this threshold.